Worlds View Vila is one of the two largest villas at Pambele and offers stunning, luxury accommodation. The en-suite double room with twin indoor showers includes a sweeping comfortable lounge with a large open central fireplace. Ample comfy built in seating and chairs create a very relaxing environment. 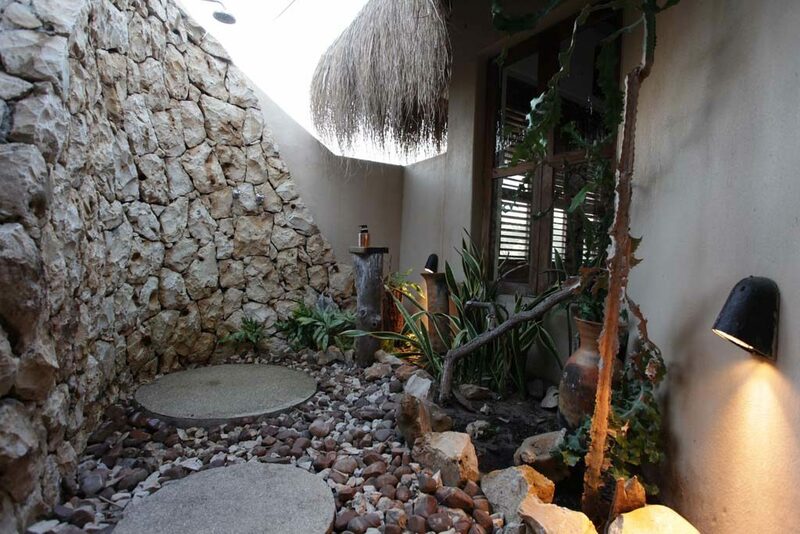 The beautiful stone covered outdoor shower offers guests a wonderful alfresco experience. 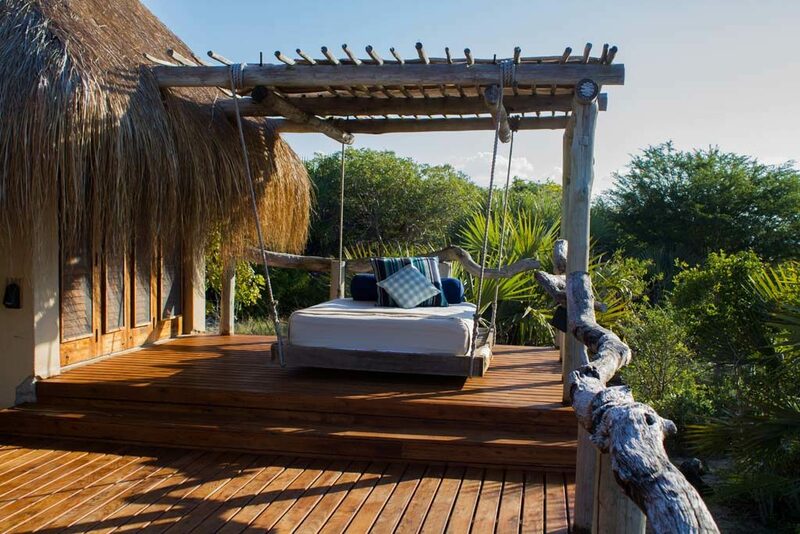 After a days activities guests can relax in a small plunge pool on their private deck or enjoy the seabreeze on a double swing daybed in the outdoor seating area. Pelican is a similar layout to Worlds View with a stunning spacious living area, large double bedroom, twin showers and secluded outdoor shower area The outside deck offers a selection of seating as well as a double swing daybed for a romantic location to watch the sunset over the Archipelago. The generous open plan living room has a superb central open fire with circular feature wall, which allows the room to flow around you. 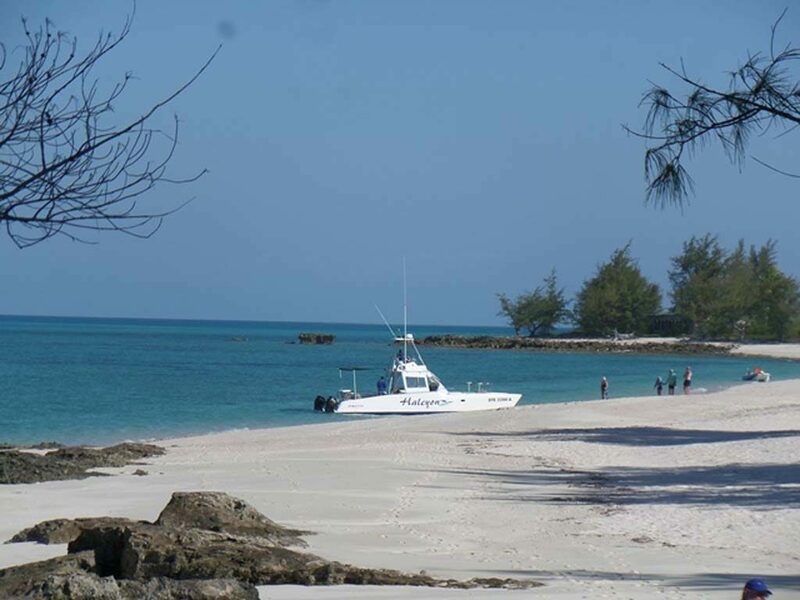 Mangrove offers the facility of a spacious individually decorated double bedroom as well as a large walk in shower room and en-suite facilities. 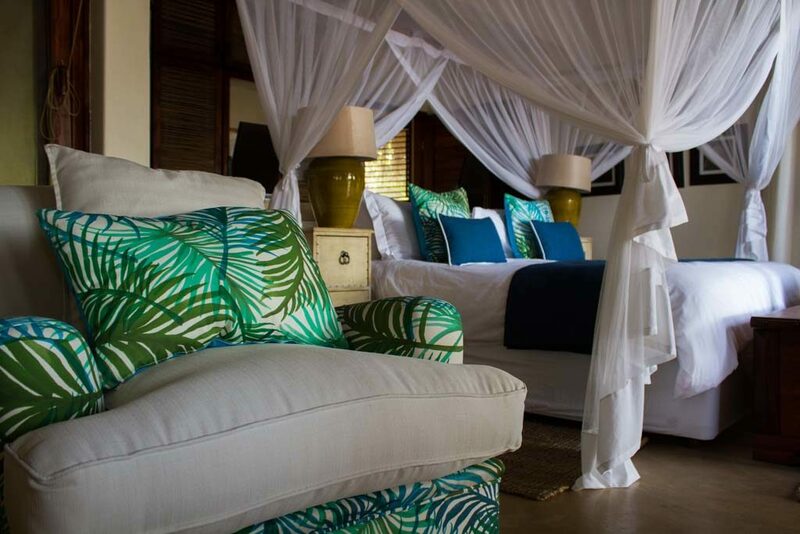 Guests can enjoy the villa’s cosy reading nook or a private outdoor seating area. 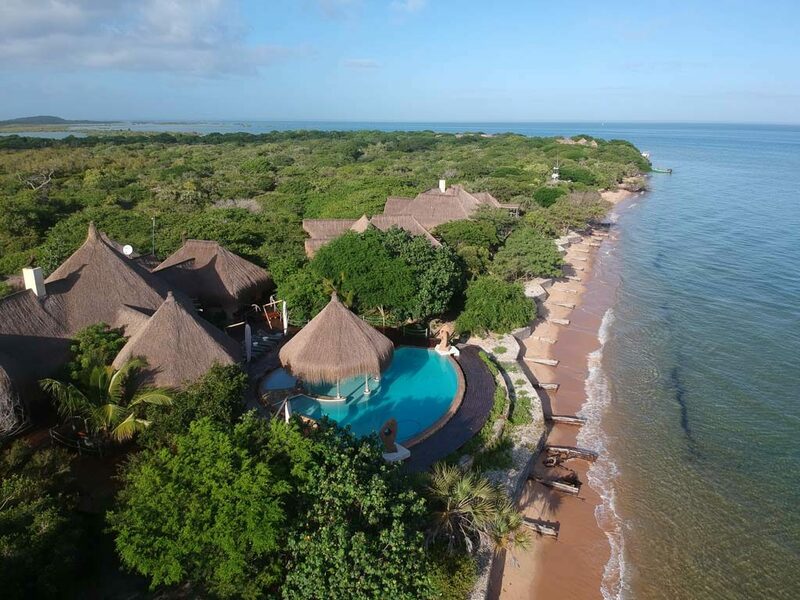 As with all of the villas, Mangrove sits nestled on the shoreline with magnificent views across the sea. 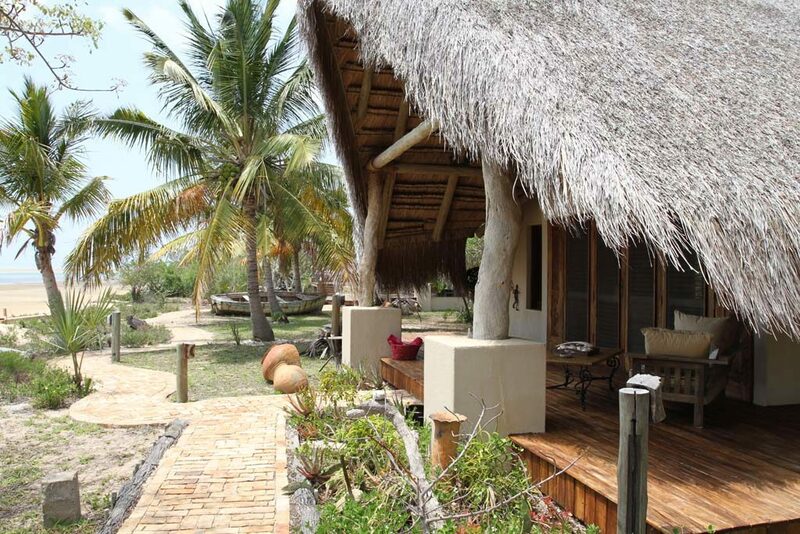 The family villa offers two en-suite double rooms, Bangwe and Mazarette, which share an indoor seating area and a large outdoor sunken lounge. The beautiful stone covered outdoor showers offer guest a wonderful alfresco experience. Bangwe offers a large comfortable bedroom as well as a walk in shower and separate WC. 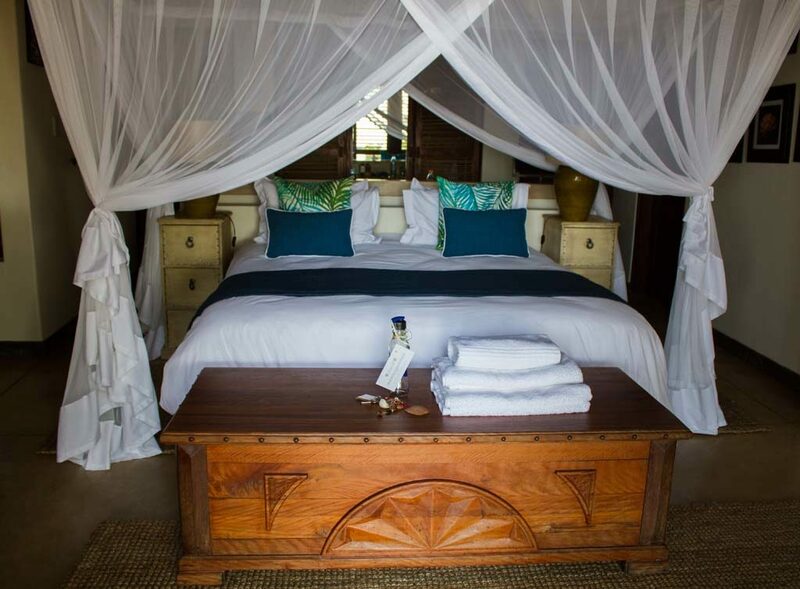 Bangwe also offers a separate small bedroom incorporated into the villa which would be suitable for a cot or child. Mazarette is similar in layout to Bangwe, and provides a large comfortable bedroom as well as a walk in shower and separate WC. There is a built in daybed which could be used as a bed for a small child under the age of five. This family villa offers the opportunity for two groups of friends to be closer to each other, or for a larger family to be together under one roof.